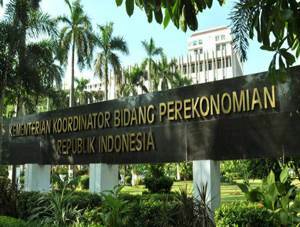 Kementerian Koordinator Bidang Perekonomian Republik Indonesia - Kemenko Perekonomian or commonly known as "EKON" is the Coordinating Ministry for the Economics Affairs of the Republic of Indonesia. Kemenko Perekonomian is a ministry in Indonesian Government in charge of planning and policy co-ordination, as well as synchronization of policies in the fields of economics. Kemenko Perekonomian is one among 4 coordinating ministries in the Indonesian Working Cabinet (Kabinet Kerja) and is under and responsible directly to the President of Indonesia. In the cabinet lead by the President Joko "Jokowi" Widodo, Kemenko Perekonomian is supervise 10 ministries for the economy, which include the Ministry of Finance, the Ministry of Commerce, the Ministry of State Owned Enterprises, the Ministry of Cooperatives and Small Medium Enterprises, the Ministry of Industry, the Ministry of Agriculture, the Ministry of Labor, the Ministry of Public Works and Public Housing, the Ministry of Environment and Forestry, and the Ministry of Agrarian and Spatial. Kemenko Perekonomian is based in Jakarta and its principal office is located at AA Maramis Building - Jl Lapangan Banteng Timur No 2-4 Jakarta Pusat 10710. 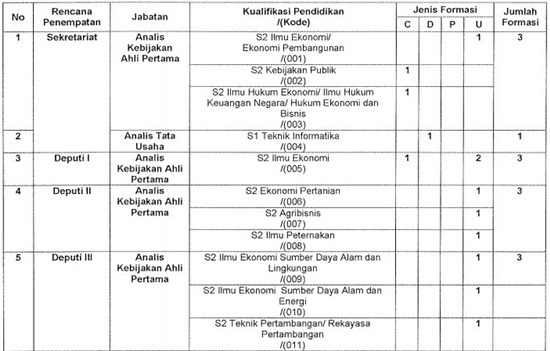 Kemenko Perekonomian is led by a Coordinating Minister for Economics Affairs, who is Darmin Nasution. Darmin Nasution - former of governor the central bank of Indonesia - was sworn as the Coordinating Minister for Economics Affairs by the President Jokowi on 12 August 2015 to replace Sofyan Djalil. 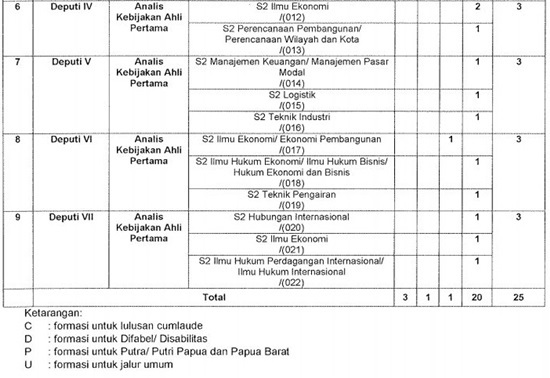 According to Kemenko Perekonomian's profile as cited by JobsCDC.com, the organizational structure of Kemenko Perekonomian is organized as 7 deputies, 1 inspectorates, 1 secretariat, and 7 expert staff. JobsCDC.com now available on android device. Download now on Google Play here. Please be aware of recruitment fraud. The entire stage of this selection process is free of charge. [CPNS] Kemenko Perekonomian - 25 Formations CPNS S1, S2 EKON September 2017 will never ask for fees or upfront payments for any purposes during the recruitment process such as transportation and accommodation.